Small can be beautiful. We handpicked 16 of the finest string players to perform an encyclopaedia of articulations and techniques, recorded via the finest signal path in The Hall at Air Studios, London. This smaller section gives you more attention to detail than our Symphonic range, while still capturing the resonance of the hall. The Professional edition includes four additional microphone positions and three CPU-friendly stereo mixes by award-winning engineer Jake Jackson, giving you a hugely diverse range of of string sounds. 235.2 GB download size Too large to download? Choose hard drive delivery at checkout. The word "chamber" describes a band that is smaller than a symphony orchestra - anything from a quartet to 40 odd players. Where strings are concerned, it generally means a medium-sized ensemble consisting of five sections (1st violins, 2nd violins, violas, cellos and basses). 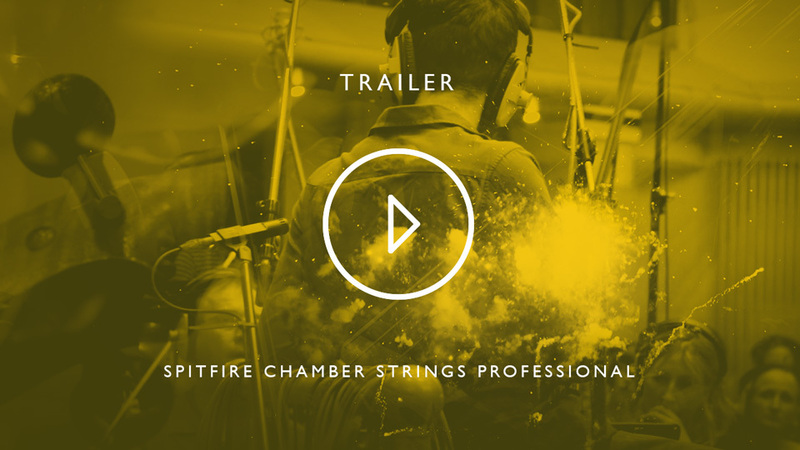 Our desire was to create the definitive chamber strings project, recorded at Air Studios, giving you the widescreen Hollywood sound we all want, with a detail and ability harder to articulate with larger sized string sample libraries. 16 star players, 4 1st Violins, 3 2nds, 3 Violas, 3 Cellos and 3 Basses; sampled with over 244 articulations, including 38 shorts, 53 longs, 19 FX, and 45 extraordinary legato patches, programmed by Andrew Blaney. Recorded with multiple round robins, dynamic layers and presented with 7 versatile microphone positions. In addition to each individual section, we also have a comprehensive selection of articulations and techniques presented in an 'ensemble' format, designed for sketching and composing with 'out of the box' satisfaction. This Professional edition enhances and provides greater flexibility to the patches from Spitfire Chamber Strings, with four additional microphones for all techniques (excluding Ensembles) - warm Close Ribbon (Cr), close Stereo Pair (St) and Gallery (G) signals, as well as Outrigger (O) signals on all techniques with the essential CTA for added warmth, creating CTAO for the ‘classic’ Spitfire setup. 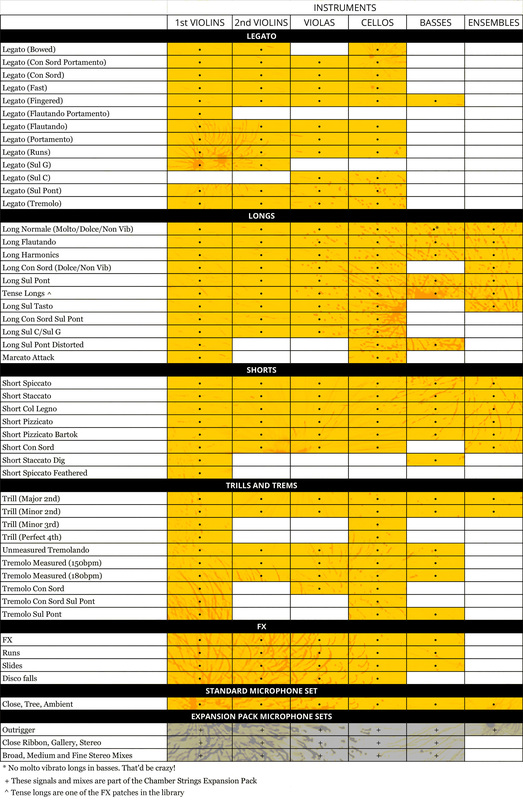 On top of this we offer the Fine (F), Medium (M) and Broad (B) stereo mixes for all techniques (except Ensembles) for instantly great sounding mixes, with low CPU/RAM usage. 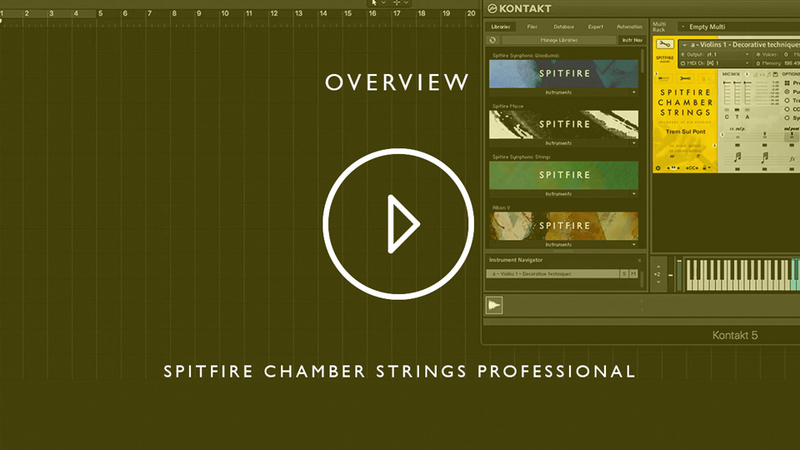 This expansion contains over 150GB of additional content to help you make the most of Spitfire Chamber Strings. 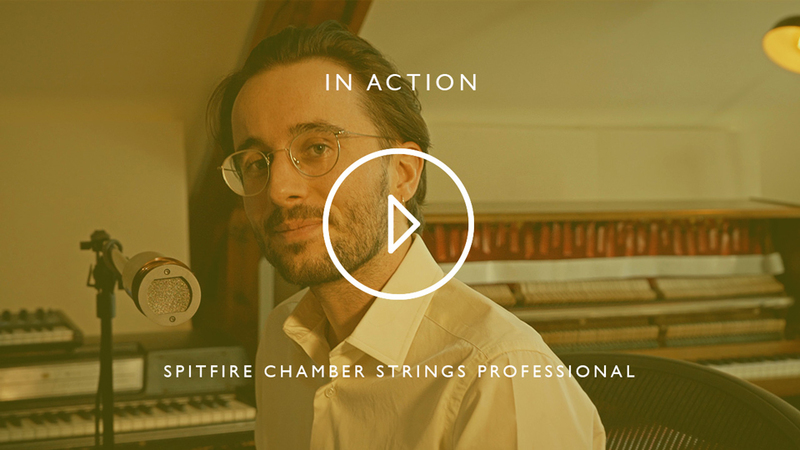 Spitfire was built on a Chamber Strings project. Many of our friends, including A-list composers, complained that sampled strings were unwieldy, ill-defined and too epic. That for much of their output, from sensitive and achingly beautiful quiet passages, through to searing lyricism, what they required was attention to detail, rather than huge numbers of players, and that symphonic ranges often tripled and quadrupled in size when playing lots of notes. So we set about the difficult task of recording a chamber strings range, which we then shared as part of a private project with our nearest and dearest. We were delighted when it was received with huge amounts of optimism and encouragement. Many, however, noted how it still sounded 'kind of big'. So we returned to the Chamber Strings project with a question: How small can we go before it no longer sounds like a section? The answer was 4,3,3,3,3. We brought together an intimate group of extraordinary players in one of the best recording locations: Air Studios, Lyndhurst Hall. Originally available in Sable volumes, this project has taken us four years. For us, if you are a composer looking to stand out from the herd, our Chamber Strings are worthy of your attention.